The Heseltine family would like to thank the members of the Andover Hockey Association for all their efforts in running this annual tournament in memory of their son, bother, and uncle, Scott Heseltine. Scott started skating on the Smith Rink at the age of four and developed a passion for the sport of hockey. Through hard work, Scott developed into a fine skater. 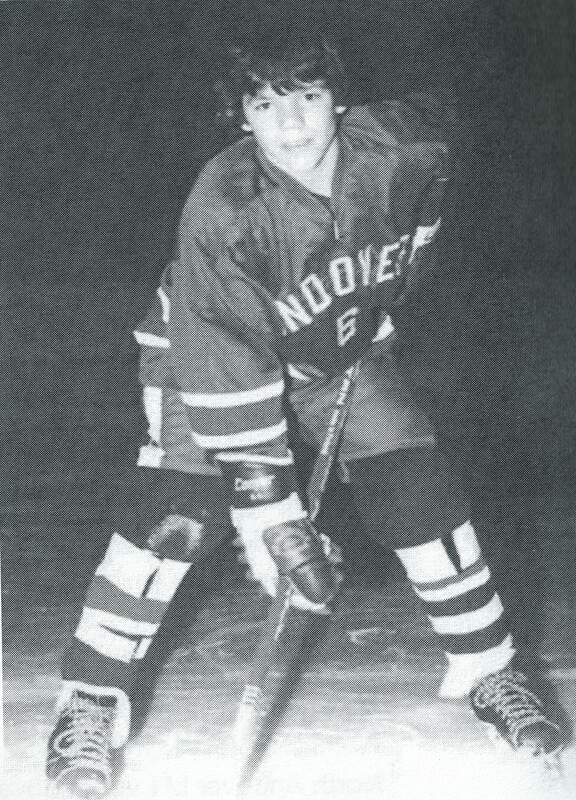 As he grew older, he progressed through the program and played at all levels, Mites through Midget. During this same period he also played on the town baseball and football teams. Scott's live came to an abrupt end at the age of 18. Regrettably, in February 1982, a week after Scott was accepted to Villanova University, he and a close friend died in a car accident. Throughout this tournament, Scott's memory and love for the game live on. Scott's two brothers also played in this program and went on to play at the high school level. George went on to play at the college level. Their father George coached in the Andover Hockey Association for twenty-two years. The family has gained and learned a lot from the sport and the hopes that, through this tournament, each of you will come away with a great memory and positive experience.